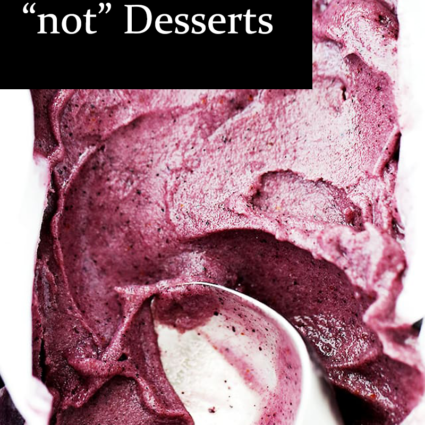 While the Paleo diet advocates eating primarily grass-fed meats, vegetables, fruits, healthy fats, nuts and seeds, you can still enjoy baked treats like cookies, cakes and pies from time to time. When you’re switching over from wheat based flours to paleo flours that fit the Paleo diet there can be a learning curve. With patience and practice you will discover your groove. 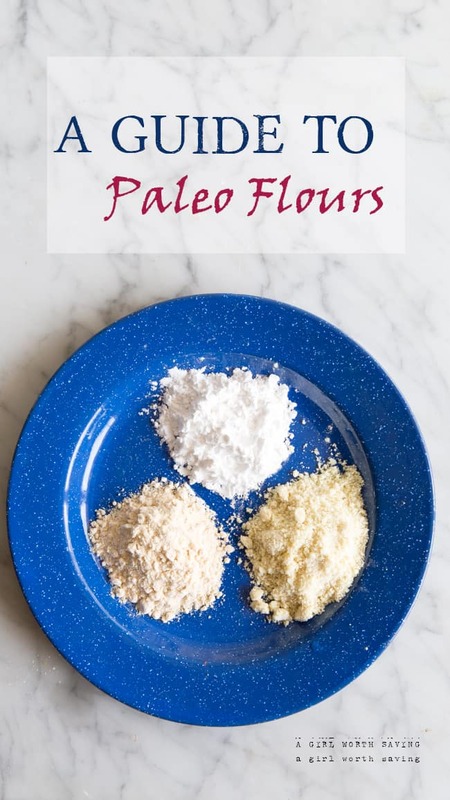 I’ve found over the years that mixing these paleo flours creates a lighter texture more similar to wheat based baked goods. Also, grinding down whole nuts works in a pinch when you are out of almond flour. You will have to pay more attention to the texture of the dough than the measurement of the recipe since the constancy is different when you use finely ground nuts from your food processor vs. store bought. Following are some helpful tips and information to help you get started with the 3 most popular Paleo Flours. Coconut flour is made from the coconut meat which is left over after the milk is extracted. It is then ground up finely. This is a dense, high fiber (the highest fiber content of any flour), low carbohydrate flour(great for those of you restricting carbohydrates), which behaves differently than other flours. It soaks up liquid like crazy so you use much less of it, which is good since it is more expensive than the common garden wheat flour. 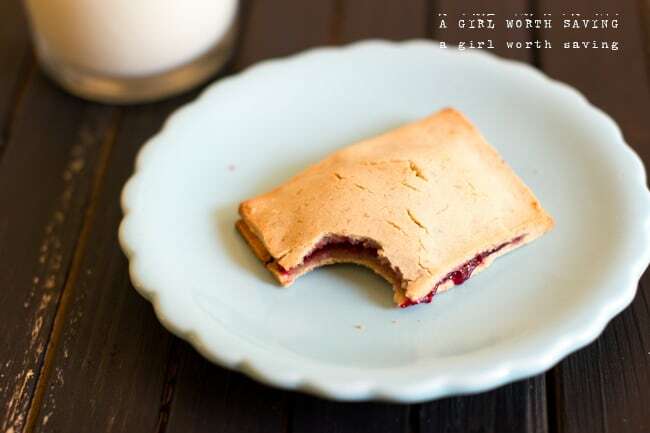 You cannot substitute one for one with wheat flour so you need a dedicated recipe. 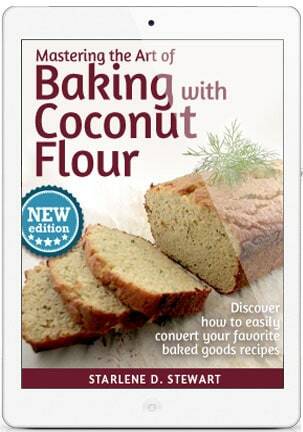 However a rough guide is ¼ cup of coconut flour = 1 cup of wheat or rice flour. When you measure it, scoop the flour out of the container with a measuring cup and run a knife across the top to level it out. Don’t pour it in or pack it tight. A little bit more or less makes quite a difference with this flour. The wet ingredients in a recipe might need to be adjusted a little depending on the size of your eggs. If the mixture is too wet, add a very small quantity of extra flour (starting at 1 tsp), but if it’s too dry, add a little more oil to loosen it. Even though it is made from the coconut, it has only a very mild coconut flavor, which, once combined with other ingredients, is hardly discernible. Coconut baked goods don’t last long and should be eaten fresh or frozen and then defrosted as needed. Need more help with coconut flour? 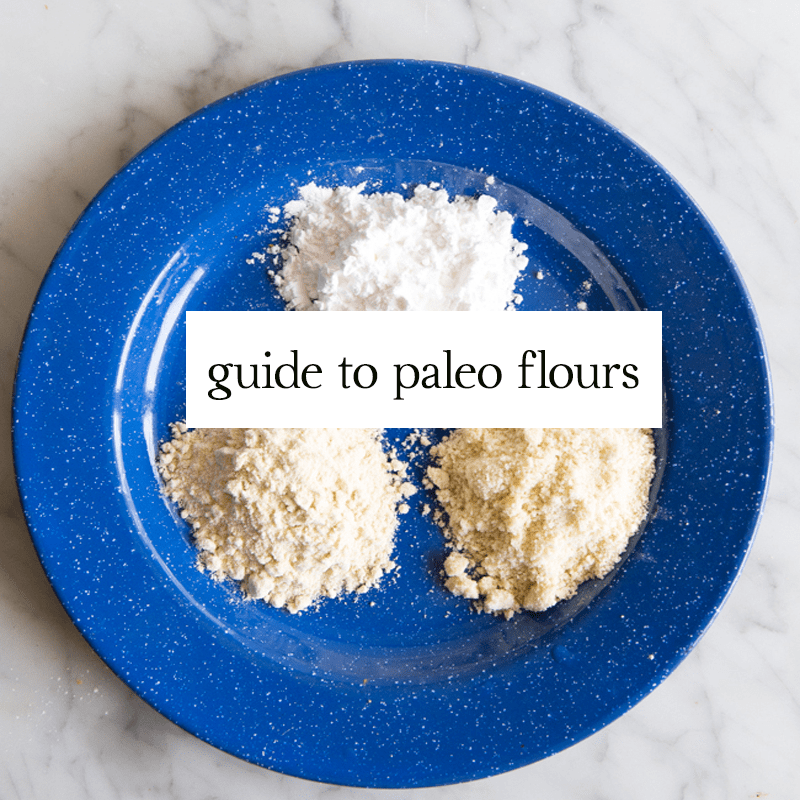 I highly recommend get my favorite guide that shares every tip and trick for this flour! Tapioca is the starch which is extracted from the cassava or manioc plant. The cassava root is the main root vegetable eaten in the developing world because it is super tough and is drought resistant. It is a very good source of carbohydrate but has no protein. 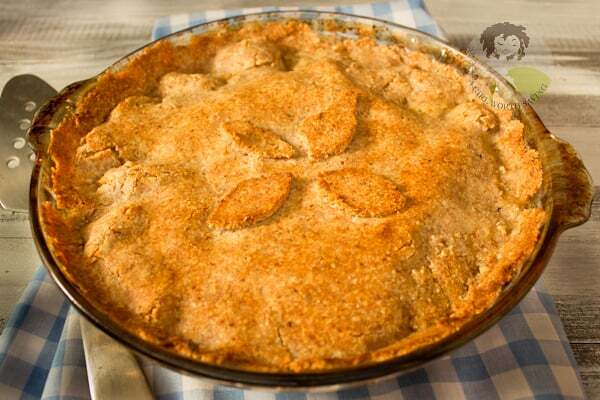 It works well with coconut flour which is low in carbohydrates. It is great for thickening sauces and stews and makes a wonderful, tasty grain-free bread. When heated with a little liquid, it thickens quickly and forms a lump of pliable goop. Add some eggs, oil and coconut flour and you have a dough to rival any wheat flour dough. If you are making lemon curd or a non-dairy custard, a little tapioca flour will thicken it up nicely. It is not so good with dairy products and forms a rather slimy product. If used as a thickener, always dissolve it in a little cold water first. If you add it to warm water, it will solidify and be a pest to work with. From reader experience, is a tricky beast. 3) If the recipe still doesn’t come together try a kitchen stand mixer or food processor to get the mixture to combine. This can be interchangeable with tapioca flour. 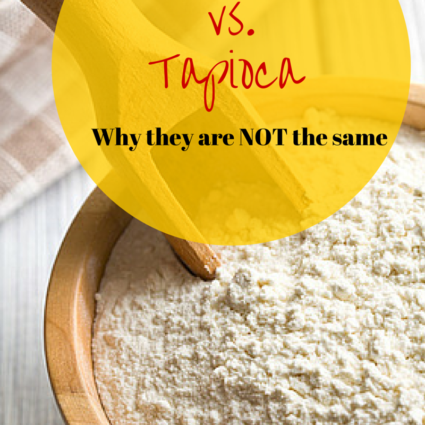 In fact, tapioca flour is often labeled as arrowroot flour. The arrowroot tubers are beaten to a pulp so the liquid in them drains away and what is left is the pure starch content. This is dried out to become a fine white odorless powder, just like tapioca flour. Also like tapioca flour, it swells on contact with boiling water and creates a clear jelly. 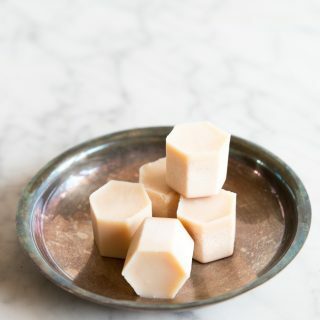 It is used as a thickening agent and is wonderful for clear jellies or any food that you don’t want to become cloudy, which happens with other flours (except tapioca flour) if used to thicken. Because the flour is so fine, it will always create a very smooth result unlike some of the grittier flours. Don’t overheat it though. Once it has done its thickening, take it off the heat or its thickening properties will break down. This is created from grinding together a bunch of almond nuts in a food processor. While it is still coarsely ground, it is called almond meal but when it becomes a fine powder (don’t grind it too far or it will become almond butter), it is called almond flour. But they are basically the same thing. However, the texture will be different in your baked goods. Almond meal will be grittier while the flour will create a more homogenous cake batter. Unlike tapioca flour, almond flour is high in protein and will combine well with both coconut and tapioca flour depending on the recipe. The almond flavor is still evident in the finished product so this has to be taken into account. Thanks for clearing up some of the mystery. Pinning to my paleo board. Congrats on your weight loss Shirley! After my pregrnancy, I could not tolerate nuts and finally almost 3 years later I can enjoy them again. The body is a mystery sometimes. This is EXCELLENT information. I am definitely pinning it for future use. So, I am new to these flours. I am a lover of whole wheat! I am wondering about the fat content in almond flour?? I feel like I will gain weight using it in recipes?! Are you following a grain-free diet?If so, you’re just swapping out the calories you eat with wheat based flours. What a great resource you’ve put together here Kelly! When you say “I’ve found over the years that mixing these flours creates a lighter texture more similar to wheat based baked goods.” Does this mean you mix almond, coconut, arrow root & tapioca together? If so what is the ratio? Or do you just mix up what flour to use based on a specific recipe? It kinda depends on the recipe I’m going to tackle- a cake would be different from a bread. I don’t really have a set ratio but I usually add 3x as much nut flour as coconut flour to the mix and then adjust the tapioca flour to the recipe. Thanks so much for this list!! Could you tell me if possible, which of these flours or another flour I could use in recipes that call for almond flour/meal? I have a nut allergy. Thanks!! Can you do seeds? I would do a mix of sunflower seeds and tapioca flour. Thanks so much! Yes, I can do seeds. Would I grind the seeds into a flour? Would pumpkin seed also work? How would I go about turning the seeds into flour? Pumpkin seed is a great flour! It does have a very strong bitter flavor that you need to take into account. I thought arrowroot and tapioca were different and not entirely interchangeable. My understanding is that you use a little less arrowroot thank tapioca. Also, I’ve read that tapioca is cross-reactive with gluten and have not read that about arrowroot. They come from different plants – any ideas how to tell when cassava has been labelled arrowroot? Any ideas for how to figure out the plant origin? I know what I currently have in my pantry are two different products that behave differently and I prefer the arrowroot. I am so drawn to the name of your blog. I have come through a lot of healing with Paleo and NAET treatments. 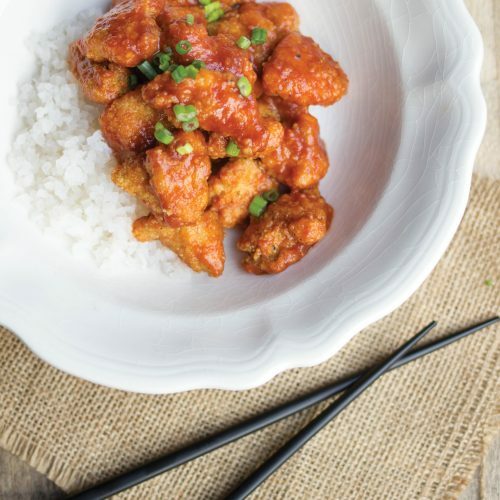 Your articles and recipes are simply inspiring!! 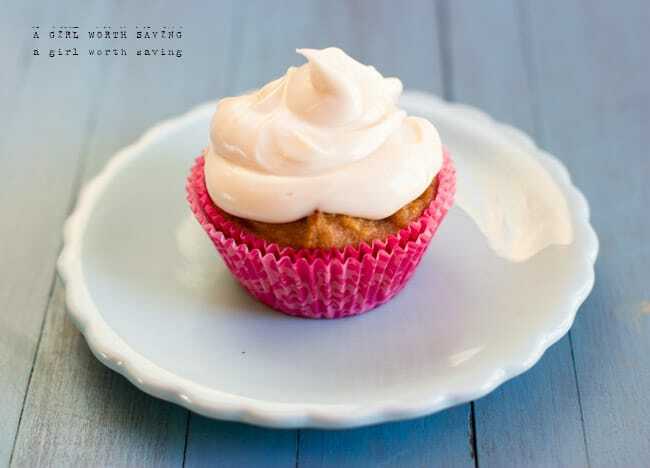 I’ve been using cassava flour and it is working very well for certain recipes and I really enjoy it! However, I am having a very difficult time using it I when baking. I am trying to convert standard recipes to adapt to cassava flour and not having much luck. 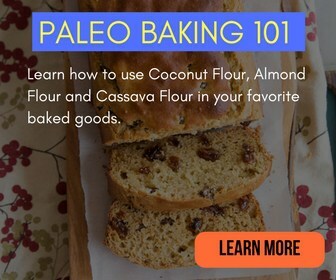 In recipes that call for almond or coconut flour, I try to do an equal amount of cassava flour and it seems like way too much. Do you have much experience with it? Any suggestions as far as how much cassava to use vs regular flours? Hi Alexa, I’ve found that Cassava is a total unique flour and even the brand you use can change the quantities of liquid needed to make it work properly. I do not consider it a one to one flour to wheat flour. I would look for recipes specifically made with the flour and make sure you use the same brand called out in the post.